EU High Representative for Foreign Affairs and Security Policy Federica Mogherini revealed a new mural in Brussels, painted by a young artist from Bosnia and Herzegovina Rikardo Druskic. The art piece, located in one of Brussels’ streets, is dedicated to people of the Western Balkans and their deep-rooted cultural ties among themselves and with EU countries. 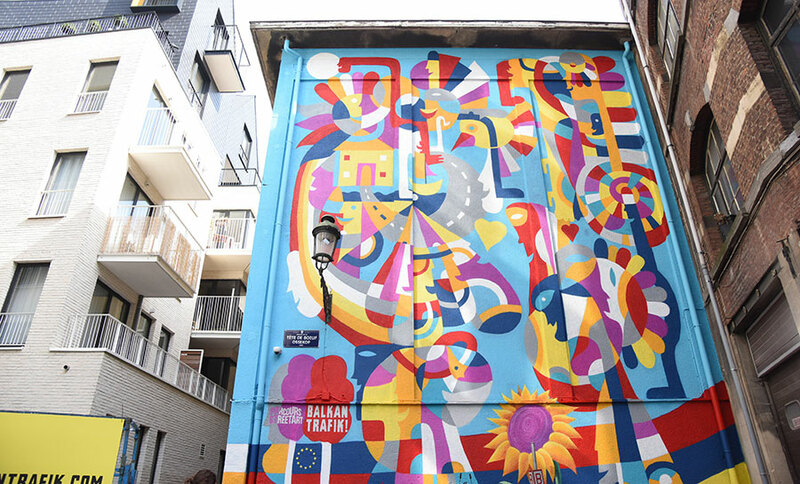 In her speech before representatives from the region, Mogherini thanked the artist and his team, noting that the mural brings the Balkans where it belongs – to the very heart of Europe. “I believe this mural will serve as a strong reminder, not only for the citizens of Belgium, but also for the rest of Europe and its institutions, to finish the task of reuniting our continent,” she said. Mogherini said that such an artwork is the best way to heal the war wounds the region suffers. And to do so in a colourful way that paints a new picture of younger generations in the Balkans, generations that feel European, she underlined. Brussels Mayor Philippe Close said that the artwork titled “Only heart can see clearly” will embellish this part of the city. “We are rebuilding this town, its historical centre. This exquisite artwork proves Brussels is the heart of Europe. It’s a link between people because what goes on in Brussels affects many. I would like to thank Rikardo for this beautiful piece of art,” Cose said. The artist said he is happy with the audience’s response and noted that he considers the mural a great personal achievement. “For me, this is an opportunity to show what I got as an artist. This is a chance to present not only myself, but also my country and the region I come from, in a different, better light,” Druskic said. Revealing the mural is part of the EU-Western Balkans Cultural Week, organised by EEAS, with a view to celebrating strong cultural ties. Famous musicians from the region also performed during the Cultural Week as part of the social media campaign “Europeans making a difference” and presentation of the Western Balkans cultural heritage.